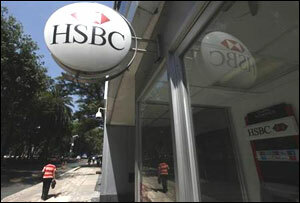 Rediff.com » Business » Revelations on HSBC - Tip of the iceberg? What were the Indian authorities doing all these years, especially when it was well known universally that all was not well within HSBC? Either our politicians are too honest or the fact remains that they ensure that our agencies are simply reduced to be toothless watchdogs that refuses to bark, probably the later, writes M R Venkatesh. HSBC  exposing the soft underbelly of global finance? REVELATIONS on HSBC - Tip of iceberg?